Nuns Have No Fun – Holland, 1982, 1st edition w/ white border and insert. Nuns Have No Fun – Holland, 1982, 2nd edition w/ dark border and insert. Nuns Have No Fun – Holland, 1982, 3rd edition, distributed by Bertus. Nuns Have No Fun – Green Marble Vinyl, Bootleg, 2001. Nuns Have No Fun – White/Red Marbled Vinyl, Bootleg, 2011. Nuns Have No Fun – Black Vinyl, Bootleg, 2011. Nuns Have No Fun – Clear Vinyl, Bootleg, 2011. Nuns Have No Fun – Red Vinyl, Bootleg, 2011. Nuns Have No Fun – Purple Vinyl, Bootleg, 2012. Nuns Have No Fun – Yellow Vinyl, Bootleg, 2012. Nuns Have No Fun – Green Vinyl, Bootleg, 2012. Nuns Have No Fun – Light Blue Vinyl, Bootleg, 2012. Nuns Have No Fun – Picture Disc, Bootleg, 2013, Hand numbered 213/300. Melissa – Germany, 2007, Cargo Records (RRCAR 8770-1), 180gr vinyl, SOC. Melissa – Picture Disc, USA, 1983, Megaforce Records (MRI-369), Numbered 0143. Don’t Break The Oath – Brazil, 1984, Estudio Eldorado (no 3052), w/insert. Don’t Break The Oath – Japan, 1984, FEMS (SP25-5134), w/insert and Obi. Don’t Break The Oath – Germany, 2007, Cargo Records (RRCAR 8769-1), 180gr vinyl, SOC. The Beginning – Holland, 1987, Roadrunner Records (RR 9603), w/black and white picture on back, orange sticker on front. The Beginning – Holland, 1987, Roadrunner Records (RR 9603), w/color picture on back. In The Shadows – UK, 2009, Back On Black (BOBV150LP), Orange Vinyl, SOC, FOC. In The Shadows – UK, 2009, Back On Black (BOBV150LP), Blue Vinyl, FOC. The Bell Witch – Italy, 2008, Night Of The Vinyl Dead (NIGHT 036), Hand Numbered 184/500, Etched vinyl, w/insert, SOC. Time – Italy, 2008, Night Of The Vinyl Dead (NIGHT 031), Hand Numbered 243/500, Black/White Splatter vinyl, w/insert, SOC. Into The Unknown – Italy, 2007, Night Of The Vinyl Dead (NIGHT 028), Hand Numbered 085/500, Orange/Black Sunset vinyl, w/insert. 9 – Germany, 1999, Metal Blade Records (3984-14242-1), FOC. 9 – UK, 2009, Back On Black (BOBV149LP), Red Vinyl, FOC. 9 – UK, 2009, Back On Black (BOBV149LP), Yellow Vinyl, SOC, FOC. Evil – Picture Disc, Germany, 2009, Massacre Records (MAS PD0660), SOC, 1000 copies made. Copenhagen After Midnight – Picture Disc, Hand numbered 145/328, w/white insert. Die Schwarze Maske – Picture Disc, unnumbered, 250 copies made. Live 95 USA – Black vinyl, Hand Numbered 470/500. Early Sabbath – Black Vinyl, w/ printed labels, 450 copies made. Burning Lullabies For Pinochet – Splatter vinyl, Hand numbered 252/333, w/printed labels and poster. Cleveland is actually 9 – Blue vinyl/White vinyl, w/insert. Crush the Cross – Yellow vinyl/Orange vinyl, 200 copies made, w/poster. Black Funeral Black Rose – Clear Vinyl, Silver Labels, 333 copies made. B Sides – Yellow Marbled Vinyl, 200 copies made. C.U.N.T. – Black Vinyl, 250 copies made. C.U.N.T. – White Vinyl, 250 copies made. Cohoes, NY – September 8, 1993 – 12″, Acetate, Only 10 copies made, numbered 10/10, w/insert and bonus-EP (se below). Cohoes, NY – September 8, 1993 – 7″, Acetate, blue sleeve, clear vinyl, bonus-ep, only 10 copies made. Portland ’84 – 10″, Acetate, Only 30 hand numbered copies made #27/30, w/CD-r with the same tracks and insert. S.H. – Pinkish marbled vinyl, 97 copies made. Time – Japan, 1994, Priority Records/Metal Blade Records (PHCR-1332), w/ OBI. Fatal Portrait – Brazil, 1986, Estudio Eldorado (No 3062). Fatal Portrait – USA, 1986, Roadracer records (GWD90529), White Label, SOC, w/insert. Fatal Portrait – Holland, 1986, Roadrunner Records (RR 9721), Multi color logo. Fatal Portrait – Holland, 1986, Roadrunner Records (RR 9721), One color logo. Abigail – Canada, 1987, Viper records (VPR 118). Abigail – Brazil, 1987, Estudio Eldorado (No 3051). Abigail – USA, 1987, Roadracer records (RR 9622), w/inverted picture on inner sleeve. Abigail – Holland, 1987, Roadrunner Records (RR 9622). Abigail – Germany, 2007, Cargo Records (RRCAR 8788-1), 180gr vinyl, SOC. Abigail – Holland, 1987, Roadrunner Records (RR 6 9622), Picture Disc. ”Them” – Holland, 1988, Roadrunner Records (RR 9550 1), w/booklet. ”Them” – Korea, 1988, Jigu Records (JRPL-1015), w/insert. ”Them” – Germany, 2007, Cargo Records (RRCAR 8785-1), 180gr vinyl, SOC. The Dark Sides – USA, 1988, Roadracer records (RR 2455), SOC, Promo. The Dark Sides – Holland, 1988, Roadrunner Records (RR 2455 1). Conspiracy – Holland, 1989, Roadrunner Records (RR 9461-1). Conspiracy – Poland, 1990, Polskie Nagrania Muza (SX 2895). Conspiracy – Korea, 1989, Jigu Records (JRPL-1006), w/insert and different cover. Conspiracy – UK, 1989, Roadrunner Records (RR 9461 6), Picture Disc. In Concert 1987 – Abigail – Holland, 1991, Roadrunner Records (RR 9287 1). The Eye – Holland, 1990, Roadrunner Records (RR 9346 1). The Spider’s Lullabye – Germany, 2009, Massacre Records (MAS LP0661), Red Vinyl, SOC, Hand numbered #264/500, Remaster. The Spider’s Lullabye – Germany, 2009, Massacre Records (MAS LP0661), Black Vinyl, Hand numbered 071/500, Remaster. The Graveyard – Germany, 2009, Massacre Records (MAS LP0662), Blue Vinyl, SOC, Hand numbered #457/500, Remaster. The Graveyard – Germany, 2009, Massacre Records (MAS LP0662), Black Vinyl, Hand numbered 297/500, Remaster. Voodoo – Germany, 2009, Massacre Records (MAS LP0663), Clear Vinyl, SOC, Hand numbered #211/500, Remaster. Voodoo – Germany, 2009, Massacre Records (MAS LP0663), Black Vinyl, Hand numbered 177/500, Remaster. Voodoo – Bootleg, 2009, Purple Vinyl, w/insert, 250 copies made. Voodoo – Bootleg, 2009, Green Vinyl, w/insert, 250 copies made. House of God – Germany, 2000, Massacre Records (MAS PD0233), Picture Disc. House of God – Germany, 2009, Massacre Records (MAS LP0664), White Vinyl, SOC, Hand numbered #373/500, Remaster. House of God – Germany, 2009, Massacre Records (MAS LP0664), Black Vinyl, Hand numbered #086/500, Remaster. The Puppet Master – Germany, 2003, Massacre Records (MAS LP0400). The Puppet Master – Germany, 2003, Massacre Records (MAS PD0400), Picture Disc. The Puppet Master – Germany, 2010, Massacre Records (MAS LP0681), Green Vinyl, Hand numbered #303/500, Remaster. Abigail II – The Revenge – Germany, 2005, Metal Blade Records (3984-14379-1), Picture Disc, Hand Numbered #242/500. Deadly Lullabyes – Live – Germany, 2004, Massacre Records (MAS LP0415). Give Me Your Soul… Please – Germany, 2007, Massacre Records (MAS PD0540), Picture Disc. Give Me Your Soul… Please – Germany, 2010, Massacre Records (MAS LP0682), Clear Ice Green Vinyl, Hand numbered #248/500, Remaster. No Presents For Christmas – USA, 1985, Roadracer Records (RR 125485). No Presents For Christmas – Holland, 1985, Roadrunner (RR 125485). No Presents For Christmas – Bootleg, Picture Disc. The Family Ghost – Holland, 1987, Roadrunner Records (RR 125476). Collectors Edition EP – Italy, 2007, Night Of The Vinyl Dead (NIGHT018), Hand Numbered #460/500. Thrash The Wall – Holland, 1990, Roadrunner Records (RR 9393 1), w/Sleepless Nights. Thrash The Wall – Korea, 1990, Jigu Records (JRPL-1012), w/insert, w/Sleepless Nights. King Diamond with Black Rose – Pictures Disc. Diamond Banging Minneapolis – Pictures Disc. Saga Fredag 20. December – Blue Vinyl, Numbered #004/200. The Spider’s Lullaby Demo – Green Vinyl, w/big poster and insert, Hand numbered #35/39. Only 39 copis made! The Spider’s Lullaby Demo – Grey/Purple Marbled vinyl, w/big poster and insert. The Spider’s Lullaby Demo – Clear Orange Vinyl, w/big poster and insert. The Spider’s Lullaby Demo – Clear Red Vinyl, w/big poster and insert. Amon Belongs To Detroit – Cyan Vinyl / Green Vinyl, 200 copies made. 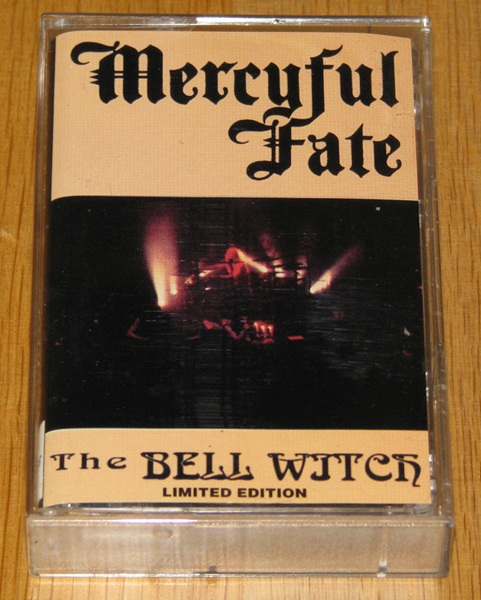 The Fatal Portrait Demo Tape 1985 – Black Vinyl, w/insert, numbered #8/8, Only 8 copies made! Hell Over Norje, Sweden 2012 – Clear Vinyl, numbered #4/8, Only 8 copies made! Hell Over Norje, Sweden 2012 – Black Vinyl, numbered #7/8, Only 8 copies made! A Night In The House Of God – Part 1 – Black vinyl with 2 white labels, w/insert, 150 copies made. A Night In The House Of God – Part 1 – White vinyl with 2 white labels, w/insert, 93 copies made. A Night In The House Of God – Part 1 – White vinyl with 1 white label and 1 blue label, w/insert, 29 copies made. A Night In The House Of God – Part 1 – White marbled vinyl with 2 white labels, w/insert, 54 copies made. A Night In The House Of God – Part 1 – Pink marbled vinyl with 2 white labels, w/insert, only 9 copies made! A Night In The House Of God – Part 2 – Black Vinyl with small centre hole, w/insert, 133 copies made. A Night In The House Of God – Part 2 – Clear Vinyl with small centre hole, w/insert, 158 copies made. All Hail The King – Orange Vinyl, Hand numbered #70/150. w/ Mercyful Fate on the B-side. Ozzfest – Purple/Grey Marbled vinyl, Numbered #225/300, w/insert and White poster. It Is The Devil I See – Clear Blue Vinyl, Hand numbered #11/300. Pittsburgh 1998.05.15 – Acetate, Green sleeve and label, Numbered 5/5, Only 5 copies made! Pittsburgh 1998.05.15 – Acetate, Yellow sleeve and label, Numbered 9/10, Only 10 copies made. The Family Ghost – USA, 1987, Roadracer Records (RR 4 125476). No Presents For Christmas – Holland, 1985, Roadrunner Records (RRC 125485). Abigail – Poland, 1988, MAX (4989), Bootleg. Abigail – Poland, 1991, TACT (380), Bootleg, Still Sealed. Abigail – Turkey, 1998, Hammer Muzik (HM109). ”Them” – Turkey, 1988, Günes (TS-2240). ”Them” – Poland, 1993, Euro Star (ES 2199), Bootleg, Still Sealed. Conspiracy – Poland, 1989, Polskie Nagrania Muza (CK 1020). In Concert 1987 – Abigail – Poland, 1992, MG Records (MG 1679), Bootleg, Still Sealed. The Eye – Poland, 1990, TACT (327), Bootleg, Still Sealed. A Dangerous Meeting – Germany, 1991, Roadrunner Records (RR 9117 4), SOC. A Dangerous Meeting – Holland, 1992, Roadrunner Records (RRC 9117). A Dangerous Meeting – Poland, 1992, MG Records (MG 2428-261), Bootleg. Fatal Portrait – Holland, 1997, Roadrunner Records (RR 8789-2), Remaster. ”Them” – Holland, 1997, Roadrunner Records (RR 8785-2), Remaster. Abigail – Holland, 1997, Roadrunner Records (RR 8788-2), Gold Disc, Remaster. Conspiracy – Germany, 1989, Roadrunner Records (RR 9461-2). Conspiracy – Holland, 1997, Roadrunner Records (RR 8787-2), Remaster. The Dark Sides – Holland, 1988, Roadrunner Records (RR 2455 2). The Dark Sides – Germany, 1988, Roadrunner Records (RR 2455 2). The Eye – Holland, 1997, Roadrunner Records (RR 8786-2), Remaster. In Concert 1987 – Abigail – Germany, 1991, Roadrunner Records (RR 9287 2). In Concert 1987 – Abigail – Holland, 1997, Roadrunner Records (RR 8784-2), SOC, Gold Disc, Remaster. The Spider’s Lullabye – Germany, 1995, Massacre Records (MASS CD 062). The Spider’s Lullabye – Germany, 1995, Massacre Records (MASS CD 062), Digipak. The Spider’s Lullabye – Germany, 2009, Massacre Records (MAS DP0661), Digipak, Remaster. The Graveyard – Germany, 2004, Massacre Records (MAS CD0103). The Graveyard – Germany, 2009, Massacre Records (MAS DP0662), Digipak, Remaster. Voodoo – Germany, 1998, Massacre Records (MAS CD0155), Promo. Voodoo – Japan, 1998, Victor Entertainment (VICP-60218), w/Obi. Voodoo – USA, 1998, Metal Blade Records (954-2), Cardboard Sleeve, Promo. Voodoo – Germany, 1998, Masascre Records (MAS CD0155). Voodoo – Germany, 1998, Massacre Records (MAS DP0155), Digipak. Voodoo – Germany, 2009, Massacre Records (MAS DP0663), SOC, Digipak, Remaster, Still Sealed. House Of God – Germany, 2000, Massacre Records (MAS DP0233), Digipak. House Of God – Germany, 2009, Massacre Records (MAS DP0664), SOC, Digipak, Remaster, Still Sealed. Abigail II – The Revenge – Germany, 2002, Metal Blade Records (3984-14379-2). Abigail II – The Revenge – Germany, 2002, Metal Blade Records (3984-14379-2), Cardboard sleeve, Promo. The Puppet Master – Germany, 2003, Massacre Records (MAS DP0400), Digipak. Deadly Lullabyes – Live – Germany, 2004, Massacre Records (MAS DP0415), Digipak. Deadly Lullabyes – Live – Germany, 2004, Massacre Records (MAS CD0415), SOC, Still Sealed. Give Me Your Soul… Please – Germany, 2007, Massacre Records (MAS PC0540), Promo. Give Me Your Soul… Please – USA, 2007, Metal Blade Records (3984-14666-2), SOC. Give Me Your Soul… Please – Germany, 2007, Massacre Records (MAS CD0540), SOC, Still Sealed. Give Me Your Soul… Please – Germany, 2007, Massacre Records (MAS DP0540), Digipak, SOC, Still Sealed. 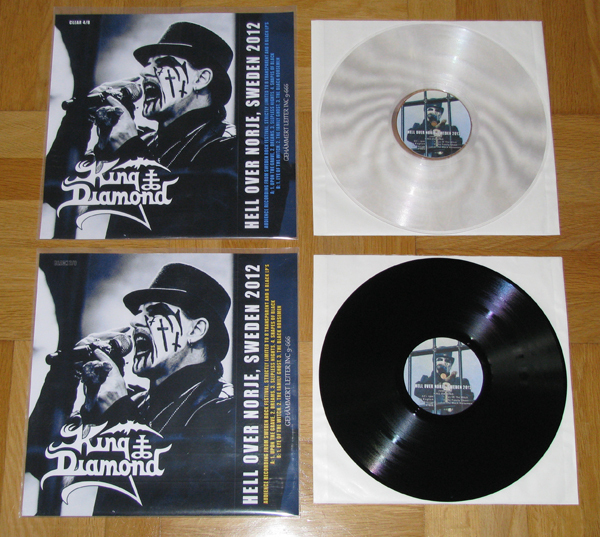 King Diamond and Black Rose – USA, 2001, Metal Blade Records (3984-14359-2). Nightmares in the Nineties – Germany, 2001, Massacre Records (MAS CD0285). Two From The Vault – Holland, 2004, Roadrunner Records (RR 8293-2). Collectors Edition EP – Germany, 1999, Massacre Records (MAS SH0198), Shaped CD. NRG Attack Vol. 1 – Denmark, 1998, NRG Magazine/MNW, Promo, w/KD – ”Voodoo”. The History of Roadrunner Records – Greece, 2003, Metal Hammer/FM Records, S/S, Promo, w/MF – ”A Dangerous Meeting” and KD – ”Arrival”. Legends Of Metal – A Tribute to Judas Priest Vol.1 – Germany, 1996, Century Media (77115-2), w/MF – ”The Ripper”. Legends Of Metal – A Tribute to Judas Priest Vol.1 – Germany, 1996, Century Media (77115-2), w/ Rock Hard logo, w/MF – ”The Ripper”. Roadrunner United – Germany, 2005, Roadrunner Records (RR 8157-8), w/ DVD, With King Diamond and Andy LaRocque. The Creatures From House Of Kicks – Sweden, 2000, House Of Kicks (HOK PRO 009), Promo, w/KD – ”Upon The Cross”. Close Up Magazine Soundcheck #62 – Sweden, 2003, Close Up Magazine (CUC 031), Promo, w/KD – ”Darkness”. Rock Hard No27 – France, 2003, Rock hard (RHGME027), Promo, w/KD – ”The Puppet Master”. Metal trax Le Sampler – France, 2007, Metallican Magazine (MECD45), Promo, w/KD – ”Never Ending Hill”. The Unholy Sounds Of The Demon Bells – A Tribute to MF – Poland, 1999, Still Dead Productions (SDP CD-99102). 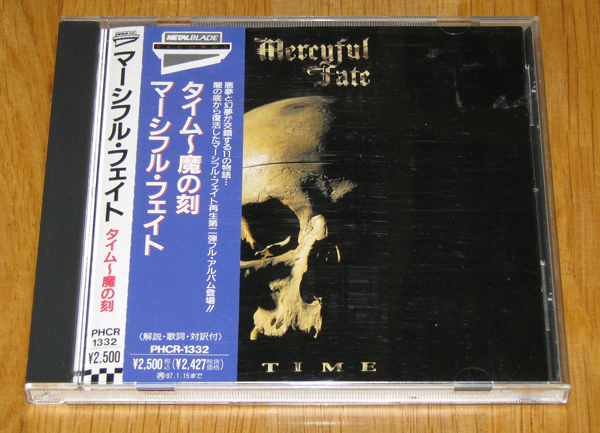 Mercyful Fate Tribute – USA, 1997, Listenable Records (POSH010), Promo.